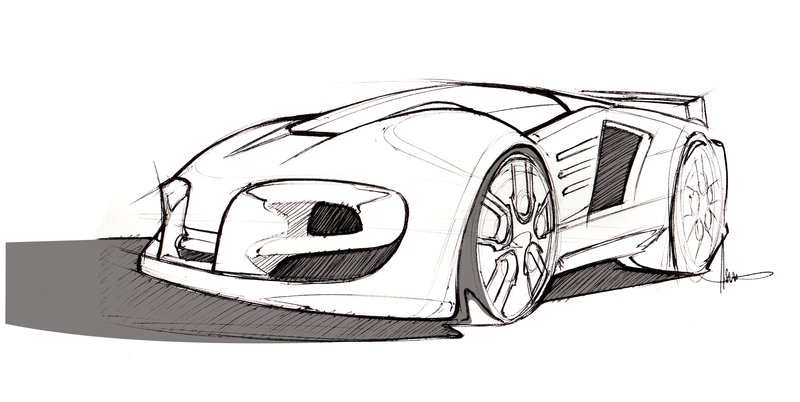 Harald Belker has never designed a car for a film that he could drive. At a little over two metres tall, the German designer can’t fit into the tiny cockpits of the concept cars he has created for films like Steven Spielberg’s Minority Report and Warner Bros’ Batman & Robin. Belker didn’t always want to be an automotive designer. He moved to the US from Germany on a tennis scholarship and finished a degree in Manufacturing Technology before he even considered the field. 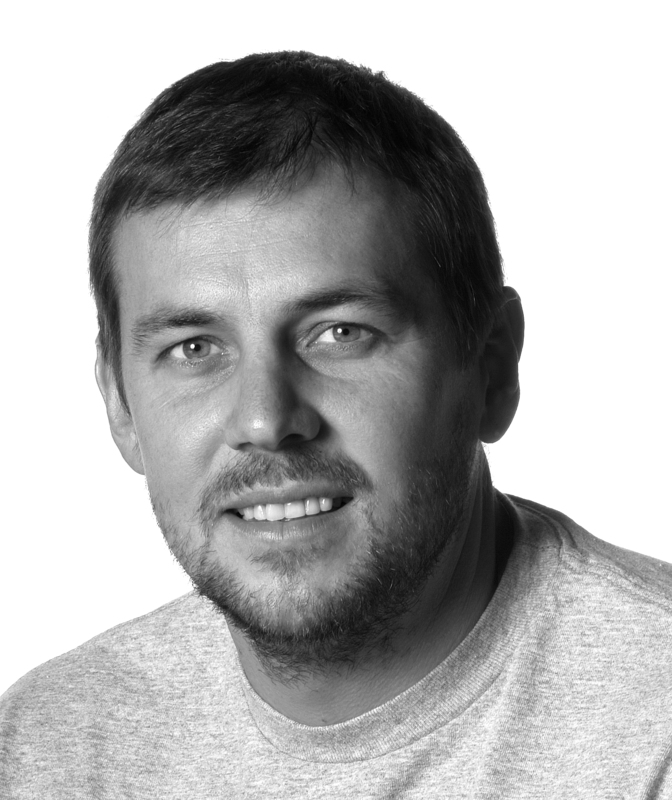 After a friend introduced him to the world of design, he enrolled at the Art Center College of Design in California for Automotive Design in 1990 and graduated with honours. 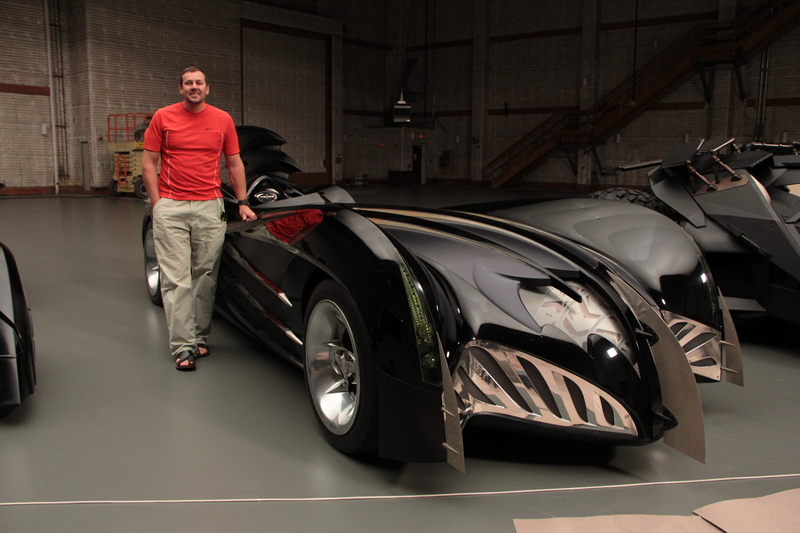 A stint designing consumer vehicles at Porsche and Mercedes-Benz Advanced Design in California set Belker up for a transition into automotive design for films in 1995, when he began working on Batman & Robin in Hollywood. “It was the best time of my life,” he says. “I got the job and so I got to drive onto a movie set and work on a really really big film, when they still had these enormously big art departments in LA. “The production director really liked the old 1950s cars, and wanted me to design the Batmobile as a singler seater with those big fenders. She wanted the bat cave to have a visual impact on the design, so that’s what the big arching wings were inspired by. 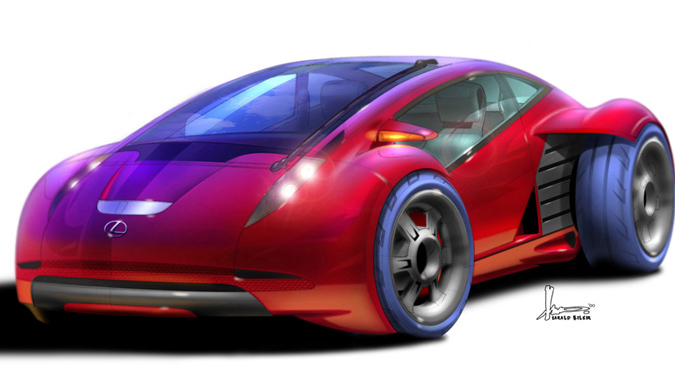 Now, Belker has over 30 movies under his belt, including vehicle design for Armageddon, Inspector Gadget, Cat in the Hat and most recently Tron Legacy and Total Recall 2012. Since 2012, he has worked as the head of industrial design at Anki, a San Francisco-based consumer robotics start-up. His most recent project for the company is an app-controlled driving and shooting game called Anki Overdrive, which debuted last year. He points to Minority Report as the cornerstone project of his career. Though he garnered attention for the futuristic red Lexus 2054 featured in the 2002 sci-fi thriller, his true pride and joy were the driverless vehicles that navigated Washington D.C. on a network of arching railways called the MAG-LEV system. In this accident-free, computer-controlled system, Belker’s pod-like cars move at speeds of 130 to 160 kilometres per hour. The inside of the vehicles more closely resembles a room than a car, with cushy seats and furnishings. The adjustable interior features seats that allow passengers to face one another and a video screen for entertainment. And Belker may have been on to something, as autonomous cars make their debut into the tech and auto industries. Belker has often dealt in the currency of fantasy and entertainment, but he thinks that many of the big ideas in films later materialise in the real world. He thinks the future of car design will be driven by technology, though he warns that tech companies and car companies are two very different things. Belker is referring to futuristic cars like these exploring the concept of using biologically engineered and regenerating material, as well as this Mercedes-Benz ultra-light concept car made out of “BioFibre” grown in a completely organic environment. All images courtesy of Harald Belker. Design in 2016 – what will interactive design look like? Design in 2016 – what will editorial design look like?